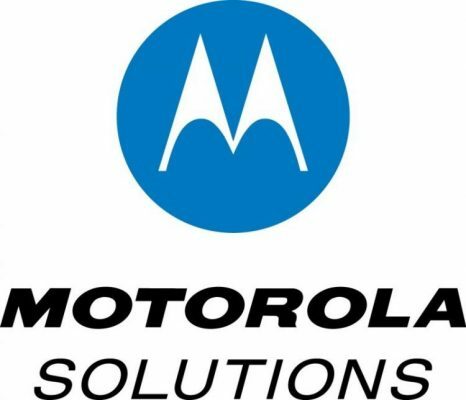 Motorola Solutions’ broadband push-to-talk offering—driven by Kodiak technology acquired in 2017—meets most of the 3GPP standard for mission-critical push to talk (MCPTT), but the lack of available proximity services (ProSe) chipsets remains the biggest hurdle to being fully MCPTT-compliant, according to company official. AT&T recently announced the availability its upgraded Enhanced Push to Talk (EPTT) offering, which was recently showcased during the Winter Institute in College Station, Texas. Powering that service are portions of Kodiak Release 9.0, which includes MCPTT features like emergency calling and remote monitoring, according to Michael Doerk, senior manager for product marketing at Motorola Solutions. Kodiak Release 9.0 also can support ambient discreet listening, but that feature has not been implemented by AT&T, according to Motorola Solutions. “Probably the biggest issue—where no one is compliant, at the moment—is with ProSe, or direct-mode communication,” Doerk said yesterday during an interview with IWCE’s Urgent Communications. “Again, that is heavily dependent on the [chipset] vendors and their ability to provide chipsets that support that. Even when ProSe is available, most in the industry have serious doubts whether public safety will embrace the LTE direct-mode technology. First responders are accustomed to land-mobile-radio (LMR) PTT voice reaching another LMR device that can be more than a mile away, thanks often to the power of a 3-watt portable with an external antenna, as well as potential propagation benefits associated with VHF spectrum. That kind of range cannot be duplicated with a 0.25-watt LTE device that uses an internal antenna. With this in mind, many vendors are developing a host of “bring the network with you” LTE solutions—from traditional SatCOLTs and vehicle-mounted modems to more versatile deployable network solutions that can fit in a backpack or a hardened carrying case—that would minimize the time a first responder would spend without network access. In addition to MCPTT developments, Doerk outlined Motorola Solutions’ roadmap for other 3GPP mission-critical standards. “With Release 9.1, we will have compliance with MCData, and we will also have what I would describe as partial compliance with MCVideo,” Doerk said. “So, we’ll be able to offer streaming video with Release 9.1, as well as the MCData capability. The idea is that full compliance with MCVideo will come probably in the next release after that. Officials for FirstNet contractor AT&T have announced plans to provide public-safety subscribers with at least two fully compliant MCPTT vendor choices during the second half of this year. AT&T, Verizon and Sprint all use the Kodiak technology that is owned by Motorola Solutions to provide carrier-integrated push-to-talk-over-cellular services (PoC) primarily to enterprise customers. AT&T last year completed its MCPTT selection process but has not announced any FirstNet MCPTT vendors to date. Doerk also announced that a new Critical Connect feature that enables cloud-based ISSI interoperable communications between ASTRO 25 systems and Motorola Solutions’ cloud-based WAVE PTT services became commercially available this week. Announced last month at IWCE 2019 in Las Vegas, the new functionality augments Critical Connect’s ability to link an ASTRO 25 network with other ASTRO 25 systems and with carrier-integrated push-to-talk services supported by Kodiak. Doerk noted that this new Critical Connect feature supports interoperability only with cloud-based WAVE PTT offerings, not premise-based PTT products like WAVE 3000 and WAVE 5000.